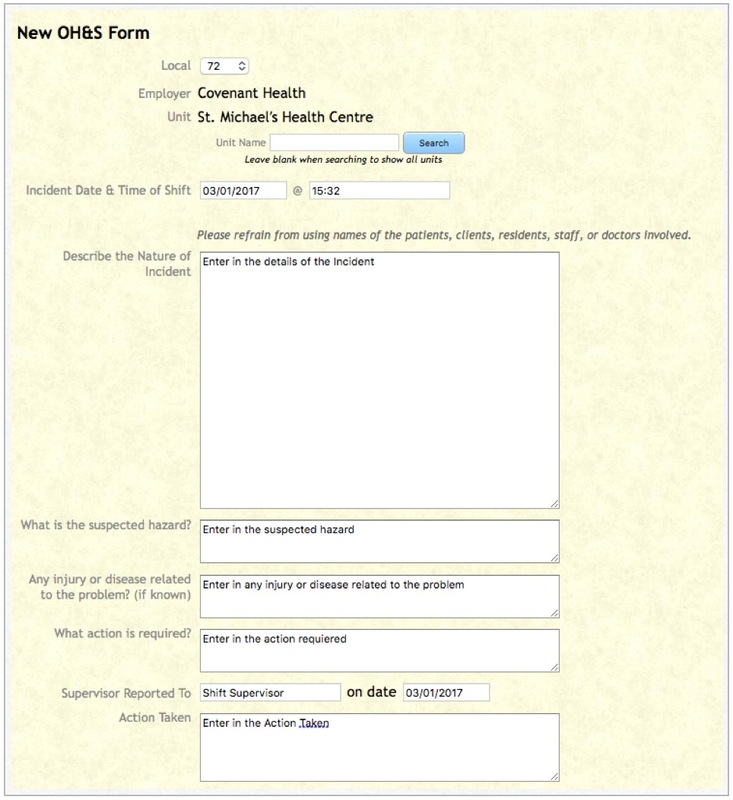 Once in the OH&S Forms screen, click on File New OH&S Form to create a new form. 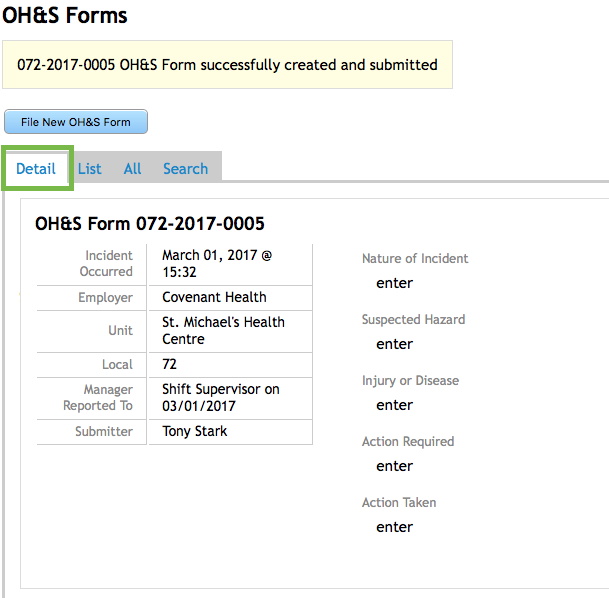 The New OH&S Form screen will open. Your Local will default in. If you belong to more than one local, you will see a drop down in the field. Use the Unit Name field to search for the applicable Unit. Leave the field blank and click Search to get a list of all available Units in your Local. Next, compete the rest of the form by entering the details and actions taken regarding the incident. Once everything has been completed, click in the box beside Submit the OH&S Form. Once this box has been clicked, you will not be able to go back to make revisions. If the form cannot be fully completed it can be saved as a draft by clicking on Save as Draft and that will allow for modifications at a later date. Once the Submit the OH&S Form is checked off, a warning will show and the words Submit & Finalize will appear. This needs to be clicked. 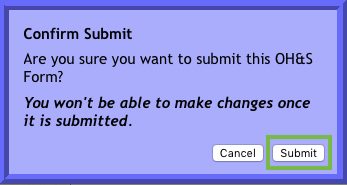 When the confirmation screen appears, click on Submit. Once the Form is Submitted it will go to the Local and Local Executive members to accept or reject it. Once approved or rejected, an email will be sent to originator of the Form. Back at the OH&S Forms screen the newly created form will appear with the number assigned. To view the Form, click on the Assigned Number from the List view and the form will be summarized.